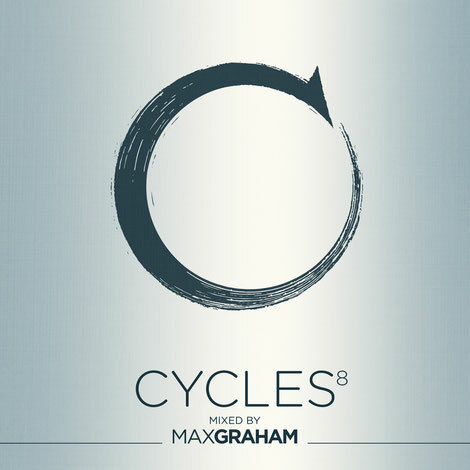 After a year of preparations, Max Graham’s ‘Cycles 8’ has landed. To carry on with the tradition, Max delivers another journey through darker musical corridors and rooms, with intimate vibes and those all-important shades of trance, techno and progressive. Canadian Max has always forged a path of his own, over the course of his career he’s drawn from multiple influences to create a sound that is a combination of techno, progressive and trance. Over Diversion (aka Solid Stone)’s bassline, Tania Zygar’s vocals entrance the opening minutes of the mix. ‘On Your Mind’’s Intro version cedes to the thermal, progressive notes of ‘BCN’ - an original production from Graham himself. In between piano melodies and vocal chops, Eddie Murray tugs at the heartstrings with his take on ‘Serac’, which further formulates No.8’s trip. Rick Pier O’Neil locks the groove in with ‘Silver Line’, and from here on in the tension builds as things get grittier. The combined forces of Max Graham and Estiva make for a collab entitled ‘Generation’. Estiva remains front and centre in the mix with newie ‘Stiekem‘ and a tech-trance revision of Graham’s 2016 release, ‘One Hundred’. Just in time for the cool-down, regular ‘Cycles’ quartermaster Tim Penner serves a rendition of ‘Moonchild’ - another one of Graham’s 2016 oeuvre. The tranquil rhythms of ‘Meteorite’ from newcomer Jay Hubbard prepare the ship for landing. In its Outro Mix form, Gai Barone’s ‘Acida’, touches it down, bringing ‘Cycles 8’s journey to a close. Check out the tracklisting below.